I wrote this in a drug induced trance...what does it mean? Re: I wrote this in a drug induced trance...what does it mean? If you were in a drug induced state, you are probably going to write random gibberish. That is random gibberish. Although I am not a supporter of recreational drug use I do believe that mathematical insights can be had via altered states of consciousness. 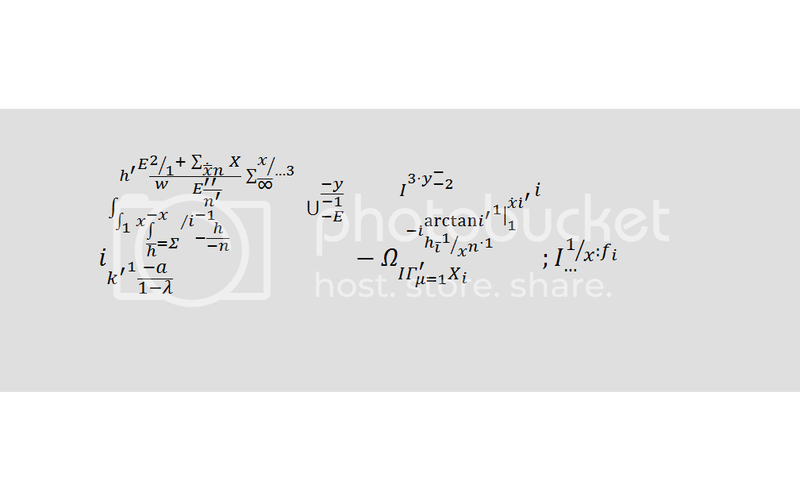 I cannot understand the equations above but there may well be something in them that provides a deeper understanding of mathematics. You can't understand the symbols because there's nothing to understand. Don't call them equations; that term has a specific meaning which is not met here. there may well be something in them that provides a deeper understanding of mathematics. LoL what is this crap? It looks like a crackhead who just been in a complex analysis classroom, and took notes but forgot his glasses. 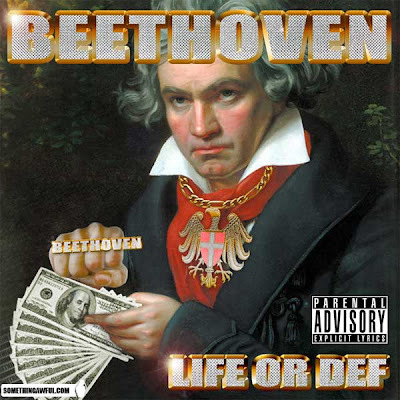 if Beethoven was into gangsta rap? But seriously, Beethoven was the Einstein of music, and Beethoven is one of my favorite geniuses of all time, and you can't possibly make fun of him like that! Rap is not all about gangstas, girls, cars, hoes, money, drugs, etc - it can be good rap only if with good lyrics (Run DMC was a good example of this). I have to admit, if Beethoven composed rap beats (with appropriate lyrics), the beats will beat the life out of you, Rebesques. You might wanna watch out, Rebesques, or else you will get slapped by his music, dawg.